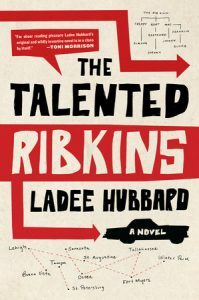 New Orleans writer Ladee Hubbard’s novel The Talented Ribkins follows Johnny Ribkins and his family, who are on a race to dig up stolen money stashed all over Florida before Johnny’s former mobster boss finds him. Luckily, Johnny’s family hold unusual superpowers that help him in his search. 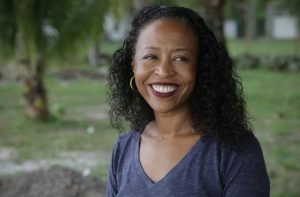 Incorporating race, class and politics—and the unique gifts that bind the Ribkins family together—Hubbard’s first novel was inspired by the essay “The Talented Tenth.” Written in 1903 by civil rights sociologist W.E.B. Du Bois, the essay called for exceptional men to step up to help save their race. Now in its 11th year, the Gaines Award is a nationally acclaimed $10,000 prize given annually by Baton Rouge Area Foundation donors to recognize outstanding work from rising African-American fiction writers, while honoring Louisiana native Ernest Gaines’ extraordinary contribution to the literary world. The 2017 panel of judges, including Edward P. Jones, Anthony Grooms, Elizabeth Nunez, Francine Prose and Patricia Towers, chose Hubbard as the winner and also shortlisted three books for commendation this year: New People by Danzy Senna, What It Means When a Man Falls from the Sky by Lesley Nneka Arimah and What We Lose by Zinzi Clemmons. 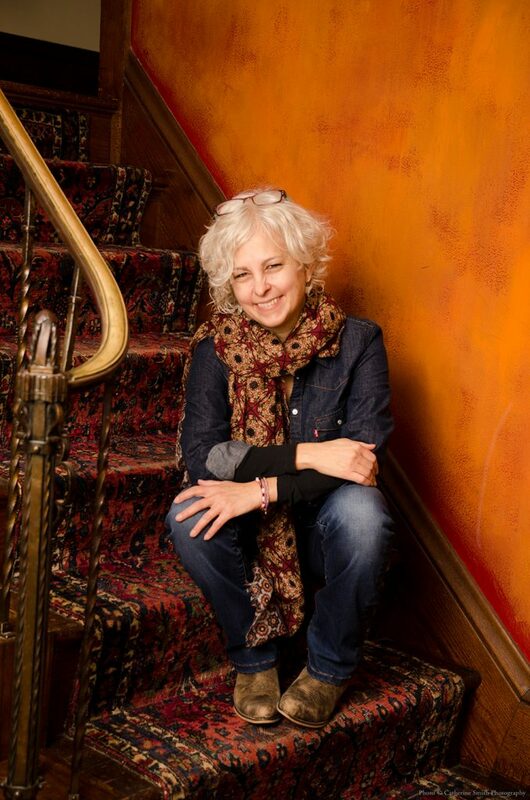 Hubbard is currently a a professor of African studies at Tulane University and earned a bachelor’s degree from Princeton University, where she was mentored by Nobel Prize-winning author Toni Morrison. We talked to Hubbard by phone about winning the award and what she plans to do with the prize money. How does it feel to win the Ernest Gaines Award? It’s amazing, an incredible honor. I’m happy for me and for the book too. Are you a big fan of his work? I feel he’s a pretty foundational figure for me as a writer, so I would count as a pretty huge fan. I was aware of the award before having written the novel, and a huge part of why it’s so meaningful is who it’s named for. It’s very gratifying to receive an award named for Ernest Gaines. Tell us about the 1903 essay that inspired your book? Where the title of Talented Ribkins comes from is a reference to “The Talented Tenth,” an essay written by W.E.B. Du Bois. It was a very impassioned plea for liberal arts education to be made available for African-Americans in the South at that time. It was written for a very specific audience and a specific time in history when there was lot of antagonism to the idea of educating African-Americans at all. His reasoning was there was a tenth of the African-American population who were born with natural talent and, that if they were trained properly, they would become the leadership class for the entire race. The title is a reference to that and lot of the book does make reference to that idea, a family born with these gifts or talents. The book is a reflection of the way in which that theory has been interpreted or how it’s used in popular culture. What did you learn from having Toni Morrison as your mentor? She’s a big part of why I wanted to go to Princeton. I just loved her writing so much. A goal of mine when I was there was to meet her and have the opportunity to study with her. She is definitely one of my literary heroes. She was a wonderful teacher, very open to my various experiments at the time. I don’t remember her ever telling me that something I was trying to do, I couldn’t do that. She was always trying to help me to express my own ideas to the best of my ability and very respectful of 19-year-old girl. What has reader response to your book been like? I know it’s an unusual story that I’m telling, and it’s really been pretty gratifying that people seem to appreciate what I was trying to do with these characters. The main character is very much inspired by my grandfather. It’s very personal, and you don’t know how people are going to respond to your work. This is my first novel, so it’s been pretty great. My grandfather was a chemistry professor so he has very little on the surface in common with the main character, but I think when I was writing, I took a lot of the speech patterns from my family, so I can hear them. Literally, I can hear my relatives sometimes when I’m reading it. I’m trying to write another book, so it’s going to be a huge help in terms of affording me a little more time to work on another book. Ladee Hubbard photo by Vilma Samulionyte.